Lunchables Snack Duos are a guaranteed hit! After all, who wouldn't love Oscar Mayer Lean Turkey, Kraft Mozzarella and mini RITZ crackers? 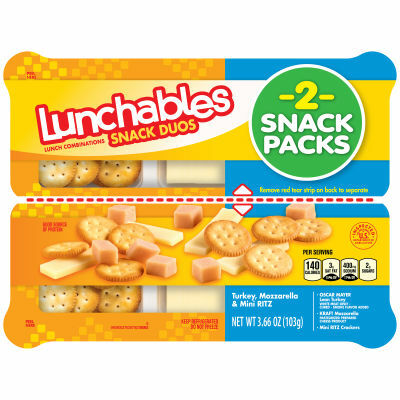 Two convenient snack packs are a fun and delicious option for school, work, or on-the-go snacking. 140 calories per serving.